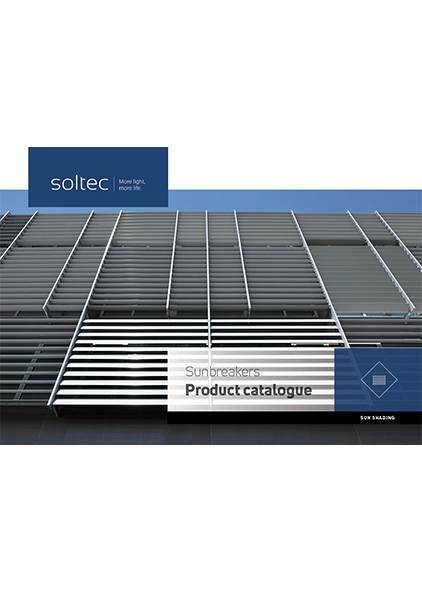 Sunbreakers are an attractive system of ensuring living comfort in buildings. 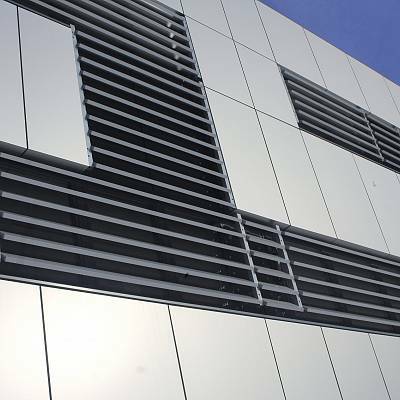 These are aluminium profiles of ellipsoid or rectangular shape, fixed or adjustable, mounted on an aluminum or steel construction in front of the glass facade of the building. 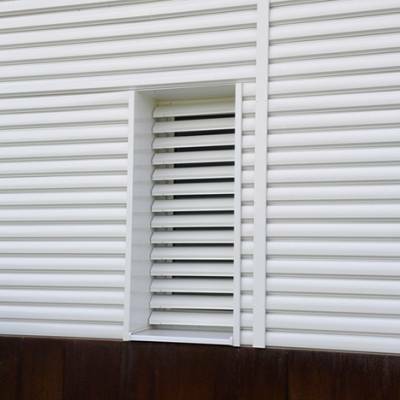 Fixed slat sunbreakers are often used as an aesthetic solution for envelopping the entire building or part of it, even in places where there are no glass surfaces. They provide excellent protection against overheating, are energy-saving and offer the possibility of regulating light inside the room. 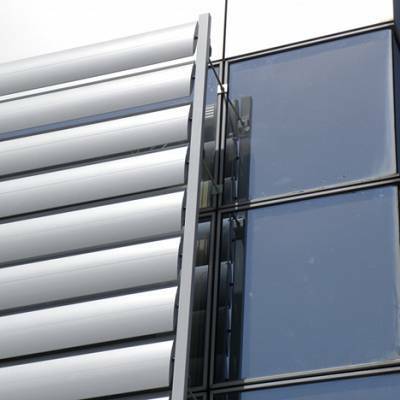 Sunbreakers protect against glare while providing a high level of transparency and are also distinguished by stability in high winds, hail resistance and exceptionally long service life. 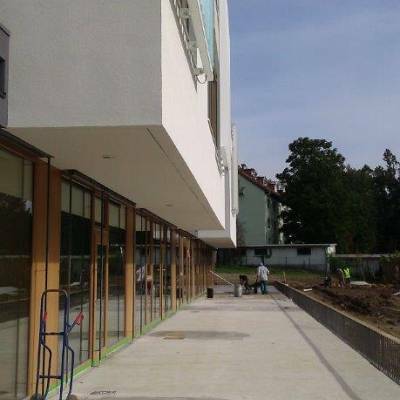 as an element of the façade and closing of roofing. external protection with added value. 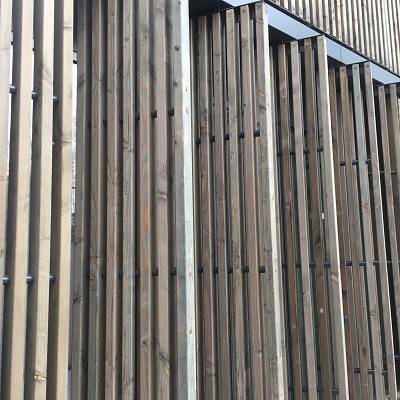 For special projects, made of wood profiles mostly with use of Siberian larch. There is always room for something new in sunbreaker area. 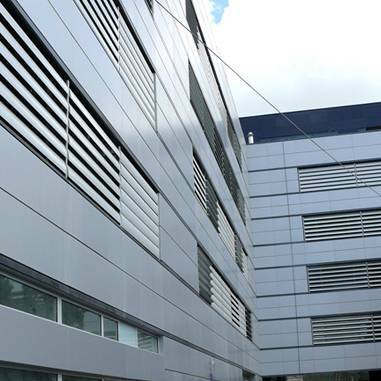 PROJECT FACULTY – Faculty of Chemistry and Chemical Engineering and the Faculty of Computer and Information Science – The facade has a size of 6000 m2 and includes 70 tons of steel and 80 tons of aluminum. The facade of the automatic control provides effective protection against overheating of the object, but the rooms are well lit with natural high transparency. Optimization, Calculation, Conception, Production, Supply, Sub-contract. 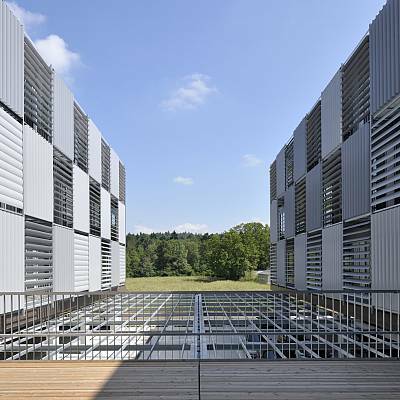 PROJECT – dynamic facade – FRANCE – BAGNOLET – Wood sunbreakers Type XL 500. Engineering, conception, production, supply, installation.